While the Pakistan army rejected Indian claims of the surgical strike post the Uri attack and ensured that it was supported in its actions by its own media, it remains aware of the fact that many in the country disbelieve it. 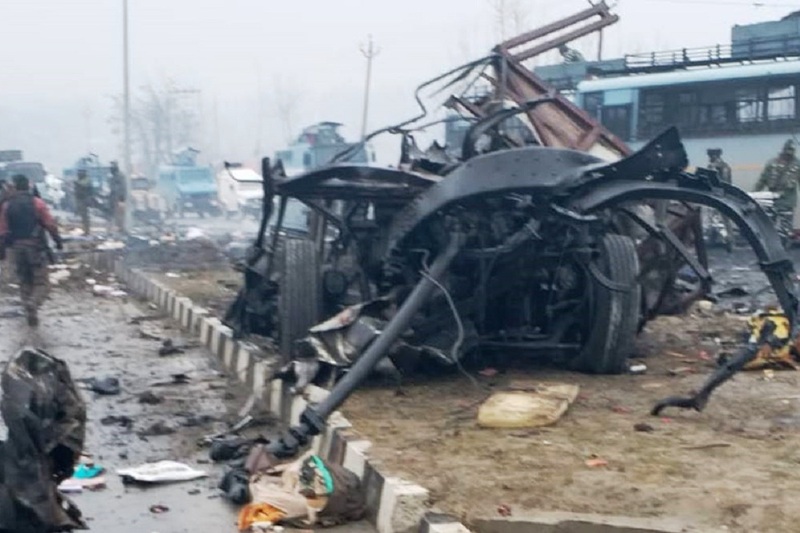 Pakistan’s actions over the last few months, if analysed carefully, would possibly project that Pulwama was planned and intended with a reason. It was aimed to compel India to act at a time when Pakistan was expecting it. It could be a means of countering the success of the surgical strike, about which a movie was released recently, casting doubts on the truthfulness of their army. Since India refused acceptance of the offer of talks on the sidelines of the UN General Assembly session between the two foreign ministers and ruled out attending the SAARC summit, an anti-India sentiment had been brewing in Pakistan. On the diplomatic front, while Pakistan does celebrate Kashmir Solidarity day every year, the organisation of a seminar in London was a first. It led to India approaching the British government to prevent the conference from being made into an international spectacle. Pakistan’s foreign minister has been raking up Kashmir in every forum, seeking to anger India. He even wrote to the UN Secretary General seeking his intervention in Kashmir. Economically, Pakistan has been in dire straits. Its rupee has devalued to 140 to a dollar and it has reserves for just two months of imports. Yet its budget for the current year marks 32 per cent of its expenditure on defence and majority of the balance would most likely go into servicing its debts. The funds received from Saudi Arabia and UAE have been used to repay China. There are almost no funds for social welfare and development. The Pakistan army has tested multiple weapon systems in recent times. The most recent was the Nasr tactical nuclear missile. The only enemy which Pakistan has is India and hence its force development is aimed solely to counter India. The increase in budget is because of the projection of increased Indian threats. While the Pakistan army rejected Indian claims of the surgical strike post the Uri attack and ensured that it was supported in its actions by its own media, it remains aware of the fact that many in the country disbelieve it. It was reinforced by recent celebrations of its second anniversary last year by the Indian government and the release of a motion picture on it. Further, it has regularly been suffering losses along the LoC and Baluchistan, which may not be covered in the press. Thus, it launched Pulwama, seeking to project it as an inside attack on Indian security forces. It was aware that India would not move ahead with an open declaration of war based on Pulwama alone. For declaration of war, the level of terrorist action must be far greater. The Pakistan ambassador to Afghanistan even warned that Afghan peace talks would be impacted in view of any Indian strike, for which he was rebuked by the Afghan government. Its foreign minister wrote twice to the UN seeking intervention to resolve the growing tensions post Pulwama. In each case his letters were intended to provoke India, as India has ruled out third party mediation. Post the Pulwama attack, it began posturing for an Indian strike. Its DG Inter Services Public Relations (DG ISPR), COAS and even the PM, had threatened India against it. Some even played the nuclear card. The Pakistan army had mobilized and written to hospitals as far deep as Baluchistan to earmark beds for battle casualties. On a visit to the LoC the Pak army chief, General Bajwa, warned India about any misadventures. Pakistan was almost certain India would act in some manner. Therefore, it is evident that the suicide attack was planned and launched with the intention of drawing an Indian army reaction. Its early mobilization, even before India had even contemplated action, indicates that Pakistan wanted to be prepared, unlike being surprised the earlier time. It was also aware that being the election season, India would have little choice but to respond. The Indian response, timed to perfection, with no collateral damage, shocked Pakistan. It was adding insult to injury, when India declared that they targeted the same camp the details of which had been shared with Pakistan, which Islamabad and Rawalpindi refused to acknowledge. They had never expected an air assault, as air power is clearly an inclination of escalation. They were prepared for a surgical strike, hence were left shell-shocked. Since the strike was deep within Pakistan, they had to acknowledge at least the crossing of the LoC, which they did. They have not disclosed the causes of the failure of their entire air defence network, which permitted Indian aircraft to enter and leave without being challenged. The acceptance of violation of airspace implied that Pakistan would have to react in some form, more for face saving than to escalate and retaliate. Thus, as a show of force, they launched 24 aircraft of all varieties. They were intended for a shallow entry, quick release of payloads and exit. The mere presence of eight Indian aircraft caused panic and forced a rushed withdrawal. In the ensuing dogfight, they lost an F16 to a vintage MIG 21 Bison, however ended up with a captured Indian pilot. Indian claims of Pakistan attempting to target Indian army installations as an escalation has left them worried. The de-escalation had to come from them, as options for retaliation were left with India. It was this threat which forced them to seek peace and order the return of the pilot, unharmed. Once again, what Pakistan had planned and expected, failed. They ended with a black eye. Pakistan continues to be in denial mode, while inputs of damage of the successful Indian strike begin to flow. It has even hidden from its own public the loss of a F 16 and the death of a brave pilot. When will it learn to respect its fallen soldiers? When will it learn that every time it attempts something, it ends up with a bloody nose and is forced to hide the truth? The truth will emerge, tomorrow if not today, embarrassing them.